I recently created a couple of books with a French Doors structure. This is a book with two spines and two covers that open in opposite directions (like two doors) and a single back cover. For both I used a coptic binding on the spines, but you could use a simple pamphlet stitch, an accordion structure or a sewn-on-tapes structure too. 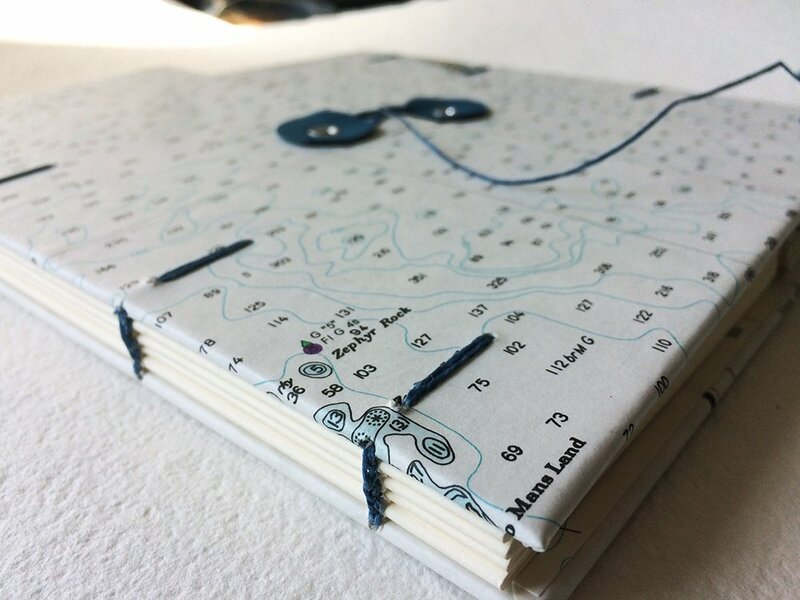 The first book is a travel journal that is covered with a Maine maritime map. The closure was make with 2 circles of card stock attached eyelets and tied with waxed thread. 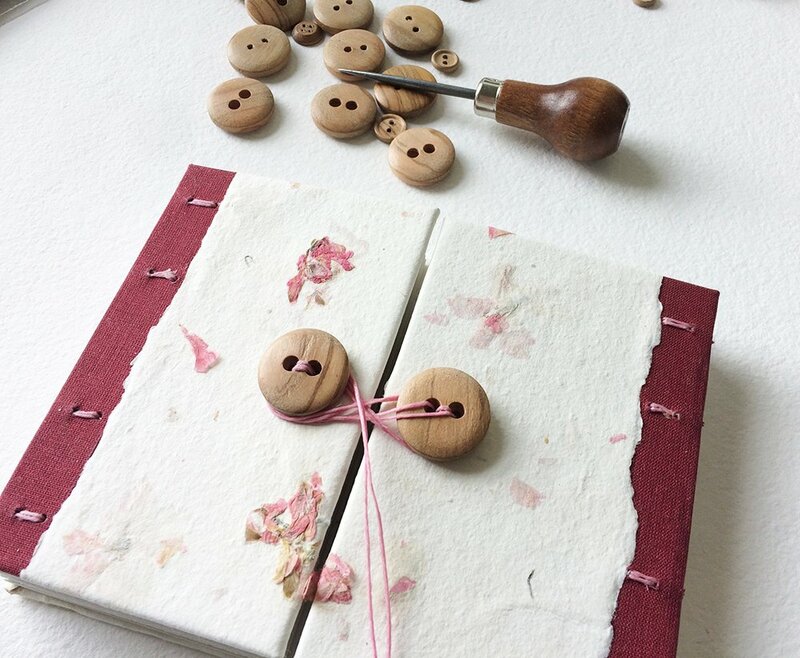 The second book using this French Doors structure has a handmade paper cover and wooden button closure. These two books are number 40 in my 50 Book Project . For updates on this project, please sign up for my newsletter. They are so beautiful – I enjoy esp the 2nd one! Beautiful books. Do you ever put a protective coat (such as matte medium) on your decorative handmade papers covers to protect them? Hi Linda, this handmade paper is surprisingly sturdy and I don’t put a protective coating on them, although you could use gel or matt medium if you felt the book would get a lot of rough treatment. Great question!!! 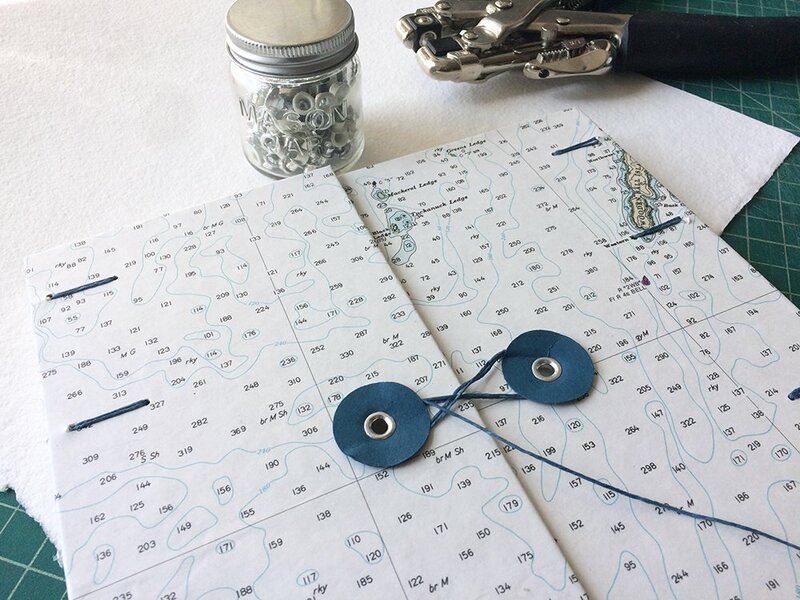 How did you attach the card stock “buttons” to the covers?